Nearly three years after the King of Pop died, the Jackson clan is readying a comeback. Brothers Jackie Jackson, Tito Jackson, Jermaine Jackson and Marlon Jackson pose for a portrait in Beverly Hills, Calif. Guided by a thumping bass line from their backing band, the Jackson brothers strut forward to a row of four microphones, thrusting their pelvises along the way, before launching into "Can't Let Her Get Away," a song their superstar sibling released on his "Dangerous" album. If they had afros and matching powder blue suits, it might feel like 1977 again. Jermaine said the brothers have wanted to reunite on their own for years, but after Michael's passing, they needed time to heal — and the tour is another step in that process. They're rearranged their classics to suit their voices, and Jermaine said the group plans to pay tribute to Michael during their shows with a slideshow and medley that will conclude with the tune "Gone Too Soon." 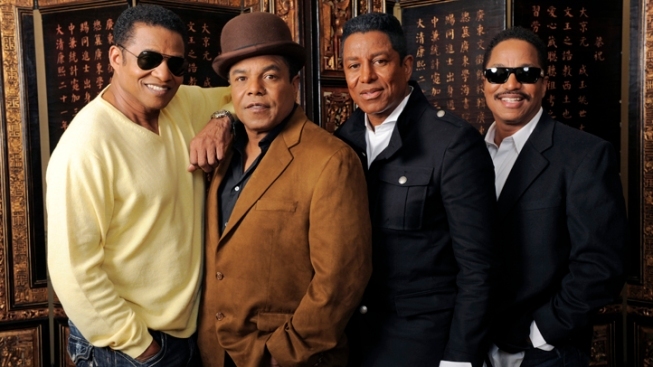 The Jacksons' tour kicks off at Rama Casino in Ontario, Canada, and is scheduled to end July 29 at the Snoqualmie Casino Amphitheater in Snoqualmie, Wash. Other stops include Detroit's Fox Theatre, Los Angeles' Greek Theatre and the Harlem's sold-out Apollo Theatre, where the Jackson 5 won an amateur night in 1969 before rocketing to fame. Will the fans think so — and will they turn out to see The Jacksons, whose ages now range from 55 to 61, perform their hits without Michael.